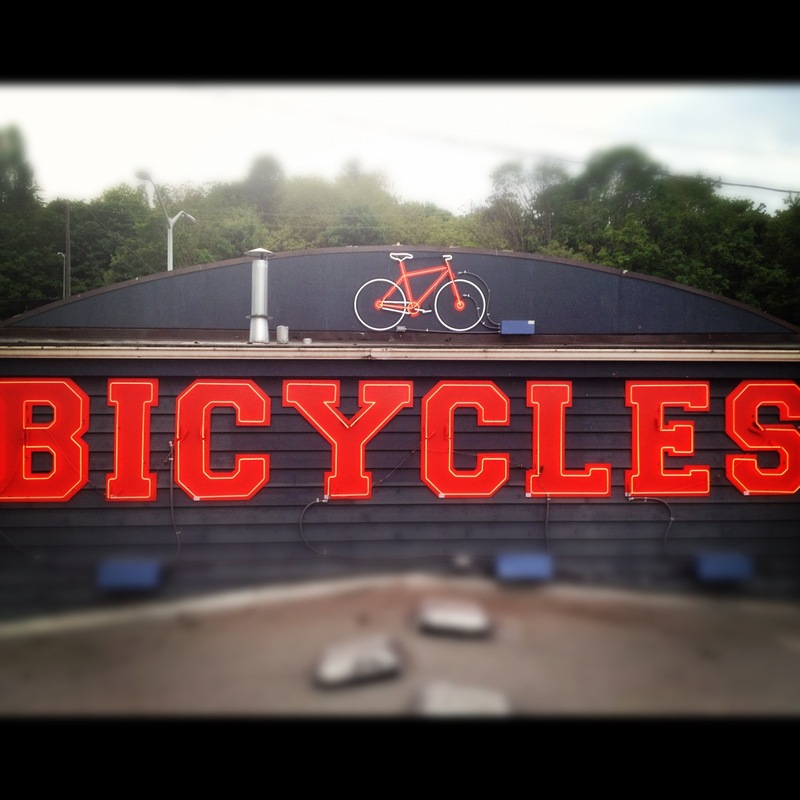 At 3422 Harbor Ave SW, where CycleU and a couple cat ladies are housed sits this new neon sign announcing that bicycles are available. They are in the new bike shop and in the ‘hood, cause that’s where the Beach Drive bike path starts under the W. Seattle Bridge, across the street from the Nucor Steel Plant. As we rode by, the workers had just finished installing it and we’re wiping the dust off with rags. Haven’t driven across the bridge in a while, but expect you can see it from a car too. Meet me at the bicycles sign. It’s a nice ride along the beach. Keep going past Lincoln park and up into the hills where you’ll find a 22% grade called the Col de Roy. View New Seattle Landmark: Bicycles in a larger map.